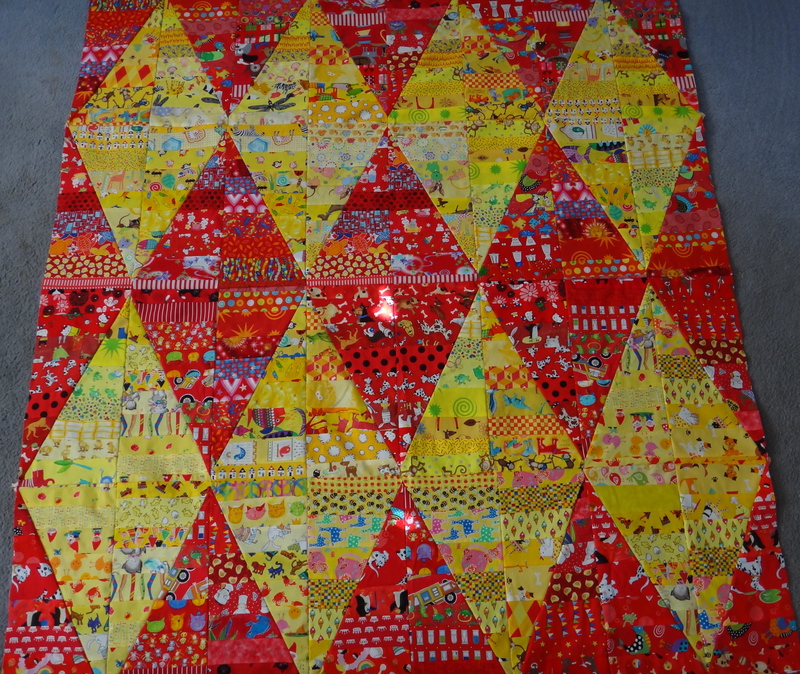 Big Diamonds Quilt – Ready to be Quilted! 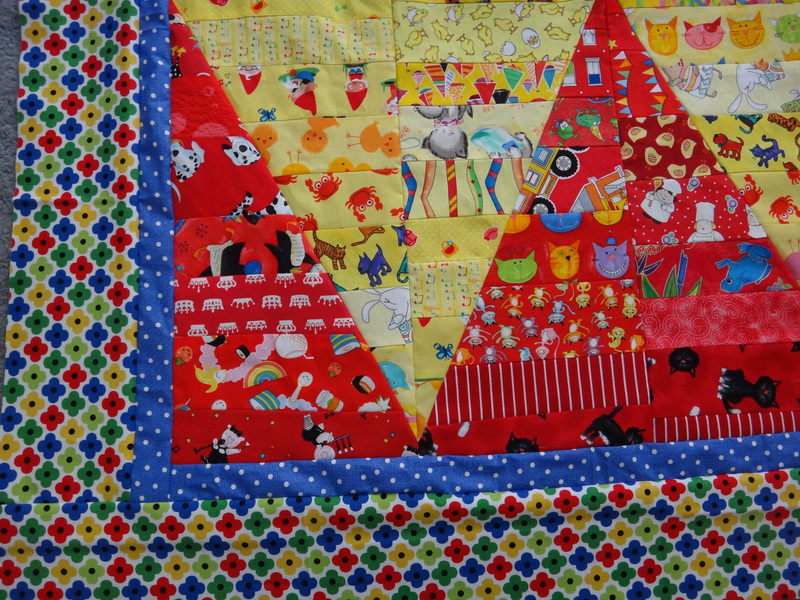 This was a fun and pretty simple quilt to put together. 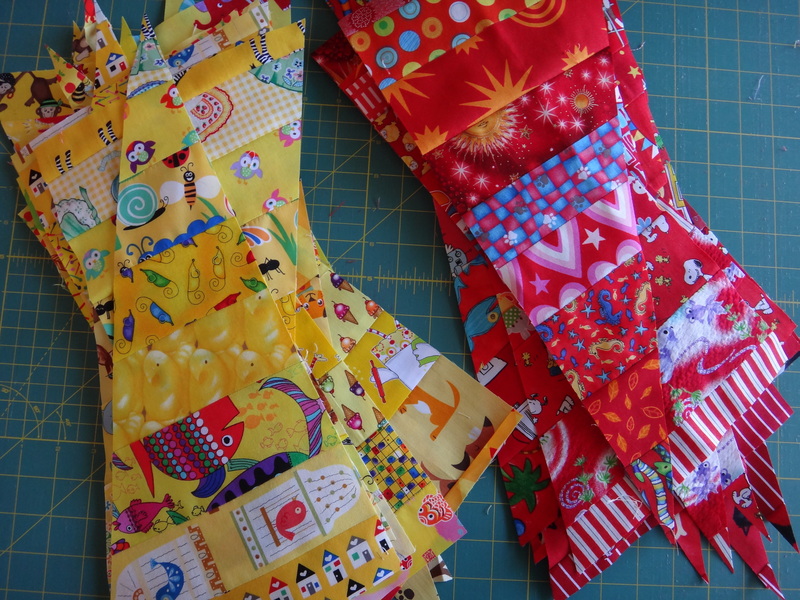 The borders came from my stash and I like how the blue looks with the yellow and red diamonds. I had originally thought I would need to use a black and white inner border to help with all the yellow and red color saturation. But when I auditioned the blue for the part instead, I really liked how it looked. I was also grateful that I made a lot of strata! Since reading directions isn’t my strong point, I just looked at the pictures and the measurements. I didn’t give the direction of the diagonal cuts too much thought. 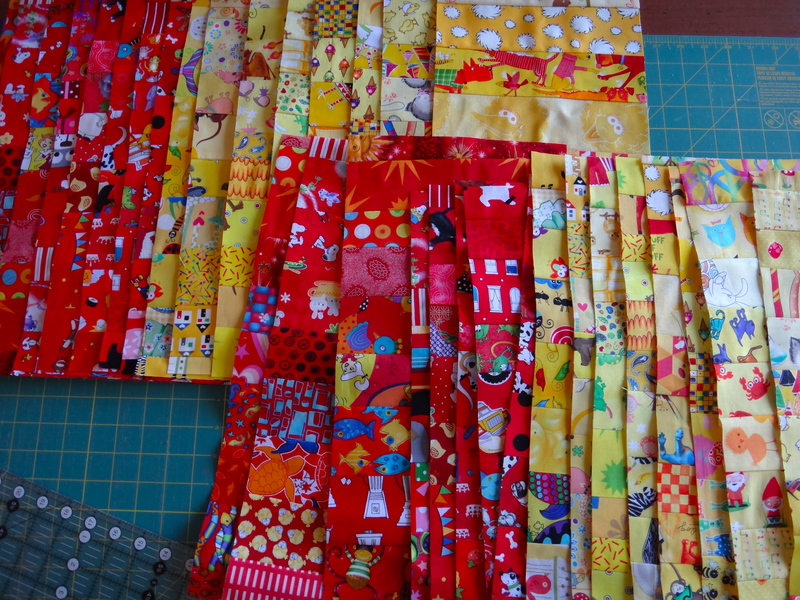 Once I did the cutting I realized that each color needed cuts on different angles for the pattern to work – oops! Almost had a moment where I would have had to have a little temper tantrum and mutter things aloud that should have been kept to myself. Fortunately because I had cut so many strata pieces there was no problem after all. Phew! Here are the strata rectangles and then the both sets of diagonal cuts. Sewing everything together didn’t take too long. The good part was that I read enough of the directions to know that it would be a good idea to starch the strata before making the first cut. That was very helpful because the fabric didn’t stretch too much. 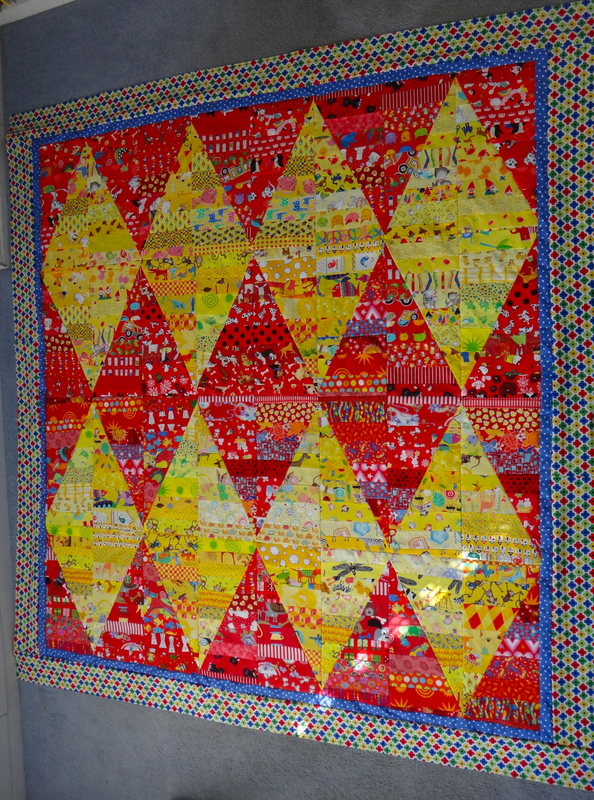 Thanks for sharing under our diamond theme at Tuesday Archives!! I just still absolutely love the bright fun prints!